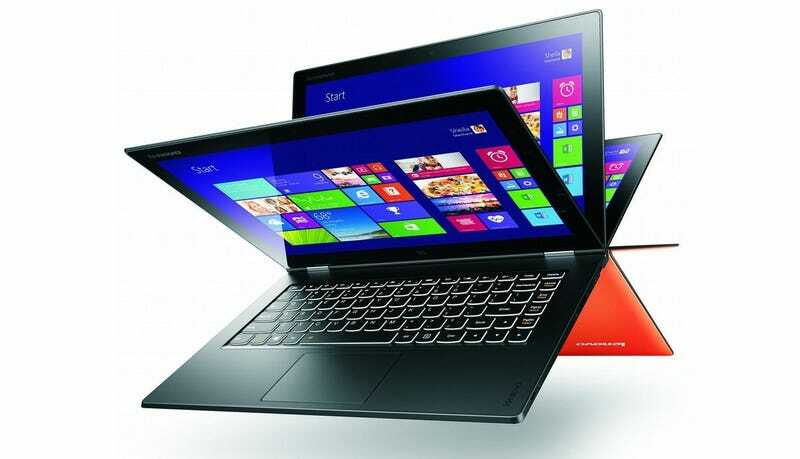 Remember the Lenovo Yoga2? It may have been stealing your personal data. It’s time for everybody’s favorite legal news, folks—class-action settlement time! If you purchased a new non-ThinkPad Lenovo laptop between September 1, 2014 and February 28, 2015, there’s a good chance you are eligible to claim at least $40 as a make-good for the company installing adware on its computers, hampering their performance in order to steal your personal information. This possibly-unexpected boon is the result of a lawsuit filed by consumers against Lenovo and software developer Superfish Software in 2014, alleging that an app that came installed on new Lenovo laptops called VisualDiscovery accessed private information without permission, including social security numbers, financial records, and healthcare information. The app also reportedly impacted laptops’ technical performance. According to Bloomberg, the companies agreed to an $8.3 million settlement last November. Once you know you’re eligible, it’s time to make a claim. You have until March 25, 2019 to file one of two types of claims. A short-term claim, which will get you the aforementioned $40, just requires you to say that you owned one of the affected laptops. A long-term claim can earn you much more—up to $750 according to the claim form—but requires documentation that shows how the software directly caused you to lose money, such as identity theft caused by a security issue. You can only make one claim—short- or long-term—per device, so make sure you’re positive about what you want to do.